An ice cream van in the Sahara desert? 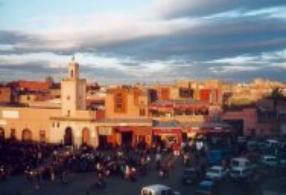 Morocco has been the home of the Berbers since the second millennium B.C. In A.D. 46, Morocco was annexed by Rome as part of the province of Mauritania until the Vandals overran this portion of the declining empire in the 5th century. The Arabs invaded circa 685, bringing Islam. 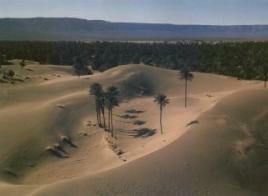 The Berbers joined them in invading Spain in 711, but then revolted against the Arabs, resenting their secondary status. 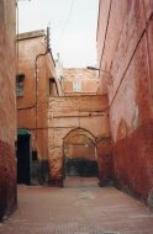 In 1086, Berbers took control of large areas of Moorish Spain until they were expelled in the 13th century. During the 17th and 18th centuries Morocco was one of the Barbary states, the headquarters of pirates who pillaged Mediterranean traders. European powers became interested in colonizing the country beginning in 1840, and there were frequent clashes with the French and Spanish. Finally, in 1904, France and Spain concluded a secret agreement that divided Morocco into zones of French and Spanish influence, with France controlling almost all of Morocco and Spain controlling the small southwest portion, which became known as Spanish Sahara. Morocco became an even greater object of European rivalry by the turn of the century, leading almost to a European war in 1905 when Germany attempted to gain a foothold in the mineral-rich country. By the terms of the Algeciras Conference (1906), the sultan of Morocco maintained control of his lands and France’s privileges were curtailed. The conference was a telling indication of what was to come in World War I, with Germany and Austria-Hungary lining up on one side of the territorial dispute, and France, Britain, and the United States on the other. 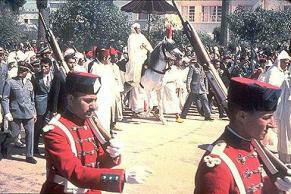 In 1912, the sultan of Morocco, Moulay Abd al-Hafid, permitted the French protectorate status. Nationalism began to grow during World War II. Sultan Mohammed V was deposed by the French in 1953 and replaced by his uncle, but nationalist agitation forced his return in 1955. On his death on Feb. 26, 1961, his son, Hassan, became king. 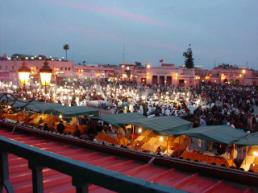 France and Spain recognized the independence and sovereignty of Morocco in 1956. Sultan Sidi Muhammad formed a constitutional government, and in 1961 Moulay Hassan succeeded his father as Hassan II. Maintaining excellent relations with the West, King Hassan became the second Arab leader to meet with an Israeli leader when, on July 21, 1986, Prime Minister Shimon Peres came to Morocco. 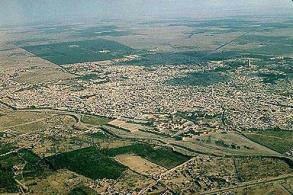 Morocco was also the first Arab state to condemn the 1990 Iraqi invasion of Kuwait. In the 1990s, King Hassan promulgated “Hassanian democracy,” which allowed for significant political freedom while at the same time retaining ultimate power for the monarch. In Aug. 1999, King Hassan II died after 38 years on the throne and his son, Prince Sidi Muhammad, was crowned King Muhammad VI. Since then Muhammad VI has pledged to make the political system more open, to allow freedom of expression, and to support economic reform. He has also advocated giving more rights to women, which has been opposed by Islamic fundamentalists. The entrenched political elite and the military have also been leery of some reform proposals. With about 20% of the population living in dire poverty, economic expansion is a prime goal. 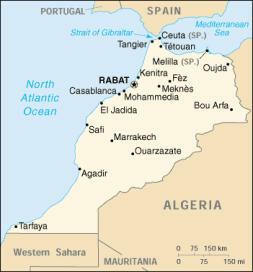 Morocco’s occupation of Western Sahara (formerly Spanish Sahara) has been repeatedly criticized by the international community. In the 1970s, tens of thousands of Moroccans crossed the border into Spanish Sahara to back their government’s contention that the northern part of the territory was historically part of Morocco. Spain, which had controlled the territory since 1912, withdrew in 1976, creating a power vacuum that was filled by Morocco in the north and Mauritania in the south. When Mauritania withdrew in Aug. 1979, Morocco overran the remainder of the territory. A rebel group, the Polisario Front, has fought against Morocco since 1976 for the independence of Western Sahara on behalf of the indigenous Saharawis. The Polisario and Morocco agreed in Sept. 1991 to a UN-negotiated cease-fire, which was contingent on a referendum regarding independence. For the past decade, however, the UN has failed to hold the referendum; disputes over voter eligibility have been the major stumbling block, as well as Morocco’s opposition to the referendum. In 2002, King Mohammed VI reasserted that he “will not renounce an inch of” Western Sahara. In July 2002, Morocco invaded a tiny, uninhabited island claimed by Spain off its Mediterranean coast. Spain promptly seized back the island. On May 16, 2003, terrorists, believed to be associated with al-Qaeda, killed 24 people in several simultaneous attacks. Four bombs targeted Jewish, Spanish, and Belgian buildings in Casablanca.